What Is Primal T By 1st Phorm? What’s better than Primal T? – Find out here. After putting in the long hard hours at the gym, you might start to wonder what is out there that can help give your workouts a boost. 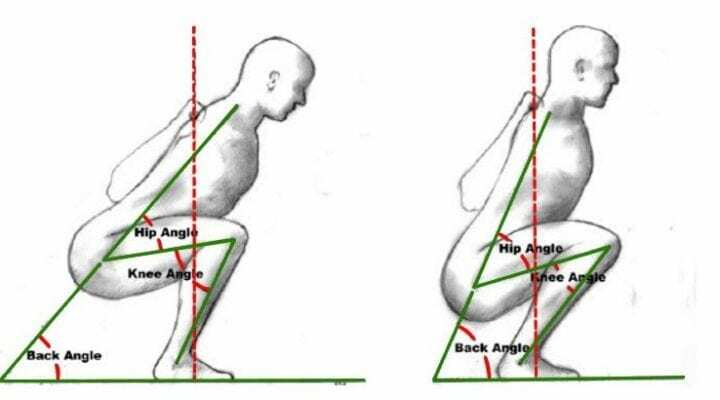 What can you take to give you the ‘added edge’ to maximize your muscularity? In this quest, you may come across a variety of different testosterone boosters, all designed to help elevate your natural levels of testosterone and help jumpstart strength gain results. 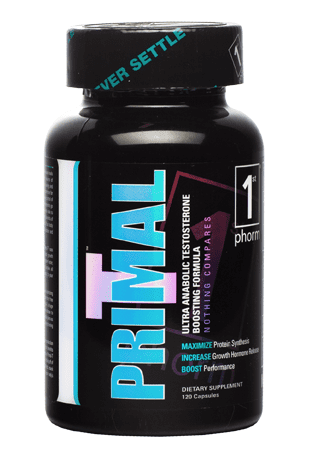 One such product to take notice of is Primal T by 1st Phorm. What’s this product all about and does it work? Let’s go over the facts on this testosterone booster so you can establish if it’s one that’s right for you. Primal T aims to work on two levels: increasing your overall testosterone levels while also boosting your growth hormone release. Together, these are the two most powerful muscle building hormones in the body, so if it accomplishes this task, clearly, it would be a product you want in your supplement arsenal. When looking at the ingredient line-up, we see two different blends. This is the first red flag to note. Any time there is a blend of any kind, it becomes very challenging to know what you’re getting from the product. How much of each effective ingredient will you be paying for? Loads of very complicated names, right? That’s what companies sometimes do to try and look professional by confusing the buyers with overly complicated science stuff. How do all of these ingredients stack up? Some do offer a few benefits to know. Studies do confirm that tribulus terrestris can help those who are suffering from a low libido level , however it does not do much to increase total muscle mass development . Ashwagandha may help to offset infertility in males, but again, there is not much research in it increasing lean muscle mass. Likewise, maca root may help elevate sexual desire , but will do little to help with elevating testosterone to support muscle growth. See our favorite testosterone boosting ingredients here: best testosterone boosters. The Verdict – Does Primal T work? Overall, Primal T by 1st Phorm falls short in a number of places. First, it uses a proprietary blend, which makes it very hard to know if it’s all that beneficial and second, it misses out on the ZMA combination that is so well-documented to help improve performance in the gym. What’s more is that thanks to the addition of caffeine in this product, you are not able to take it too close to bed time at a time when both testosterone and growth hormone are maximized. For these reasons, you would likely be better off simply purchasing a straight ZMA product and then if you want that added energy boost from caffeine, getting some caffeine tabs to go with it. Beyond the sexual performance related benefits this product can have, it really isn’t likely to provide too much more in the way of pure muscle growth. We would not recommend this product as there are many others available with better ingredients like in our top 3 list for testosterone boosters. Q: Where To Buy Primal T? A: You can purchase Primal T by 1st Phorm off their website for $59.99 for a 120 capsule bottle. Q: How Do I Take Primal T? A: For best results, you’ll want to take two capsules of Primal T first thing in the morning. Then in addition to that, you can take another two capsules about 20-30 minutes prior to your workout as well. Note however that because this product contains caffeine, be careful if you are planning an evening workout. It may interfere with your overall sleep quality. A: Generally speaking, as Primal T is primarily composed of natural herbs and ingredients, the side effects should not be too pronounced. This said, it does contain caffeine, which is unlike most testosterone boosters. It’s a rare find to get caffeine from this type of product. As the caffeine is found in the blend and that blend totals 415 mg, it’s challenging to say exactly how much caffeine you are taking in with each serving. For those who are sensitive, this caffeine could lead to side effects such as an increased heart rate, elevated blood pressure levels, feelings of anxiety as well as jitteriness also. Take caution when using this product for this reason and be sure that you are not taking in a high amount of caffeine from alternative sources as well. Q: Does Primal T come with a guarantee? A: 1st Phorm do offer a 30 day money back guarantee. But only if you buy it directly from their website and not from a retailer. Q: Do you have to cycle on and off Primal T? A: The company says you should cycle it 5 days on and 2 days off for 8 weeks. Q: How long do you have to take it in order to start seeing results? A: The company says you should take it for at least 8 weeks to see optimal results. Q: What’s better than Primal T? A: If you’re looking to pack on muscle fast, then you definitely should consider supplementing with a high quality testosterone booster. However, Primal T is in our opinion not the best option out there.